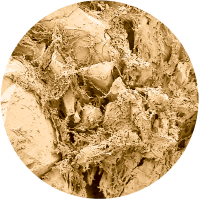 BioV® Bioactive Matrix is a novel bone graft substitute expressly designed to optimize surgical handling, graft stability and osteoproductivity. 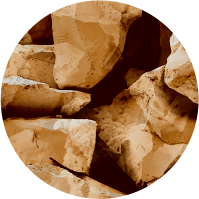 Bioactive Glass is an osteoconductive and osteopromotive material that guides new bone formation. 1. 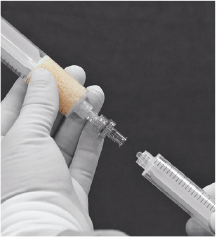 Fill the transfer syringe with sterile fluid. 2. 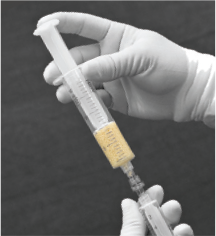 Attach transfer syringe to female luer port on the product syringe and hold the assembly vertically with the product syringe on top. Inject the sterile fluid into the product syringe. 3. 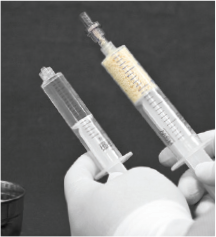 Once the fluid is transferred compress the plunger of the product syringe until all of the air is removed and the powder is wetted. Wait 2 minutes for the fluid to be completely absorbed into the powder. 4. Remove the fluid transfer syringe and the valve from the product syringe. 5. Extrude the product directly into bony voids or gaps, or into moist gloves. 6. Mold and handle putty as desired. 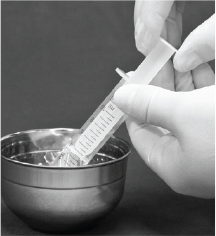 Bio V Bioactive Matrix handles best when used within 12 minutes of reconstitution. References: 1. Oonishi H, Kushitani S, Yasukawa E, Iwaki H, Hench LL, Wilson J, Tsuji E, Sugihara T (1997) Particulate bioglass compared with hydroxyapatite as a bone graft substitute. Clin Orthop Relat Res 334:316–325 2. 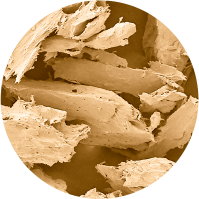 Hench, L.L., Splinter, R.J., and Allen, W.C., Bonding Mechanisms at the Interface of Ceramic Prosthetic Materials. Journal of Biomedical Materials Research, 1971; 2(1): 117-141. 3. Mulliken JB, Glowacki J, Kaban LB, Folkman J, Murray JE (1981) Use of demineralized allogeneic bone implants for the correction of maxillocraniofacial deformities. Ann Surg 194(3):366–372 4. Mulliken JB, Kaban LB, Glowacki J (1984) Induced osteogenesis—the biological principle and clinical applications. J Surg Res 37(6):487–496 5. Hench, L.L., Splinter, R.J., and Allen, W.C., Bonding Mechanisms at the Interface of Ceramic Prosthetic Materials. Journal of Biomedical Materials Research, 1971; 2(1): 117-141. 6. 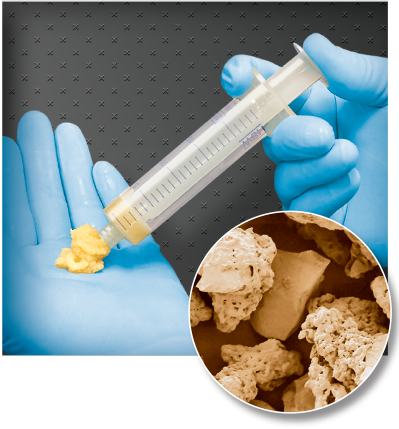 BervenS, TayBK, KleinstueckFS, Bradford DS(2001)Clinical applications of bone graft substitutes in spine surgery: consideration of mineralized and demineralized preparations and growth factor supplementation. Eur Spine J 10(Suppl 2):S169–S177. doi:10.1007/s005860100270 7. Kirk T. J, (2012) Osteoconductivity and osteoinductivity of Bio V DBM. Cell Tissue Bank DOI 10.1007/s10561-012-9297-1 8. Mulliken JB, Kaban LB, Glowacki J (1984) Induced osteogenesis—the biological principle and clinical applications. J Surg Res 37(6):487–496 9. Kirk T. J, (2012) Osteoconductivity and osteoinductivity of Bio V DBM. Cell Tissue Bank DOI 10.1007/s10561-012-9297-1. All content contained herein is furnished for informational purposes only. 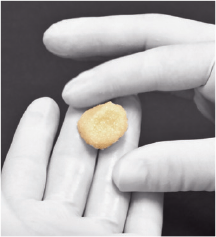 In2Bones does not recommend a particular surgical product or procedure suitable for all patients. Each surgeon must evaluate the appropriateness of a device and corresponding techniques based on medical training, clinical judgement and surgical experience. The proper surgical technique and/or procedure are the responsibility of the medical professional. 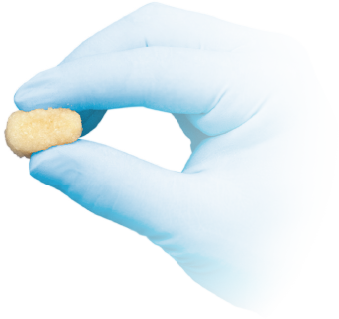 Indications, contraindications, warnings, and precautions are listed in implant packaging insert and should be reviewed carefully by the physician and operating room personnel prior to any proposed procedure. BioV, the In2Bones name and logo are trademarks of In2Bones or its affiliates.